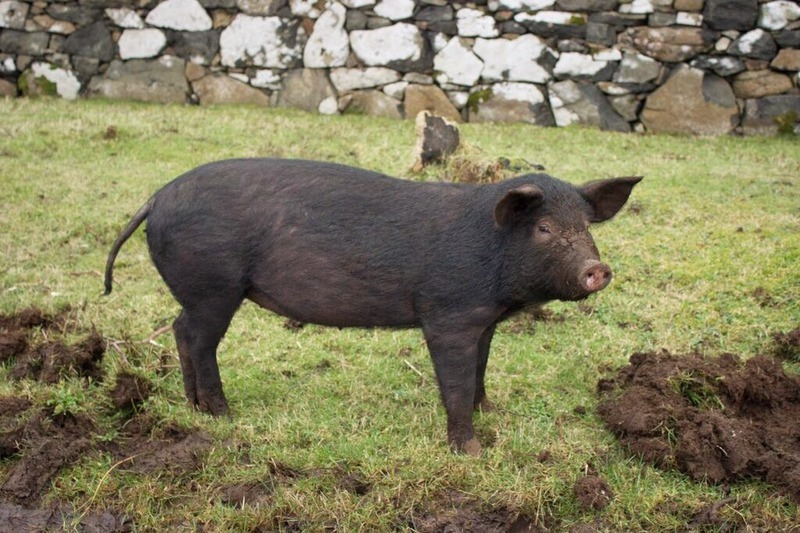 You may recall from my last post (The Isle of Mull - Part One.) however, that I'd managed to fall into a boggy field and although I'd narrowly cheated death by drowning in mud (what a story that would've been), I was completely coated in the stuff. I have to warn you, I have a feeling that stories about me falling over will become somewhat commonplace over the next few months. I'm not known for my grace. 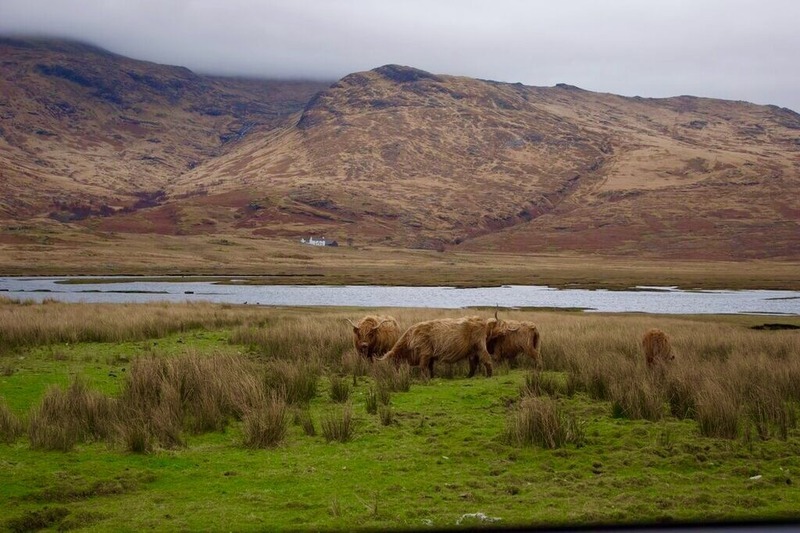 So having begun to get an idea of what Mull had to offer, we doubled-back on the road to Lochbuie and carried on down to the Ross of Mull, the peninsula that makes up the south-western part of the island. 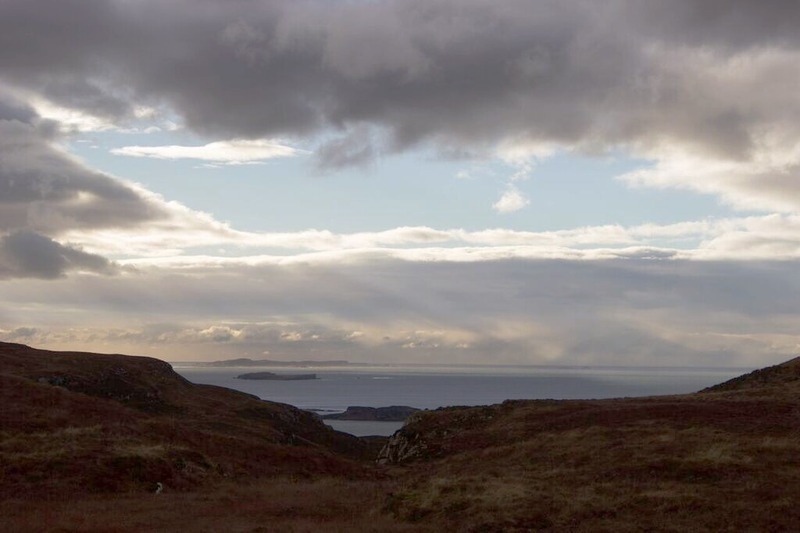 The journey from Lochbuie to the village of Fionnphort is around 37 miles, and it's truly stunning. 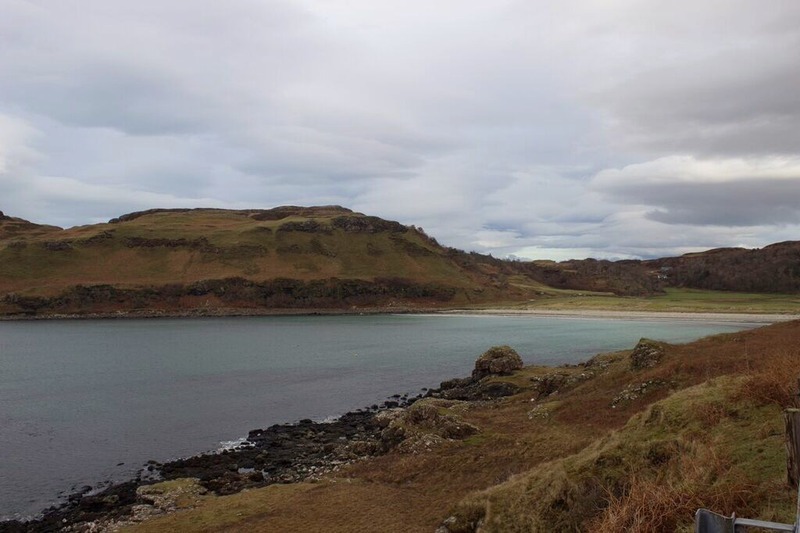 As I mentioned in my last post, I'm a big fan of being close to the water, and I was in luck - most of the journey to Fionnphort is along the shore of the sea loch, Loch Scridain. 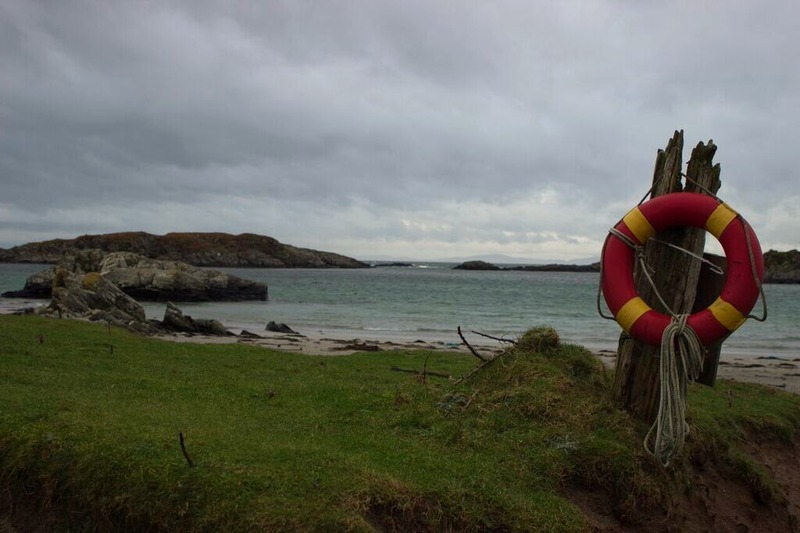 Being on the coast, the wind in Fionnphort was bitterly cold, and we watched the ferry to Iona struggle bravely across the narrow strip of water separating the holy island from the mainland. We, unfortunately, didn't have time to visit Iona on this occasion, but it is definitely on the 'To Do' list for when (not if!) we go back. 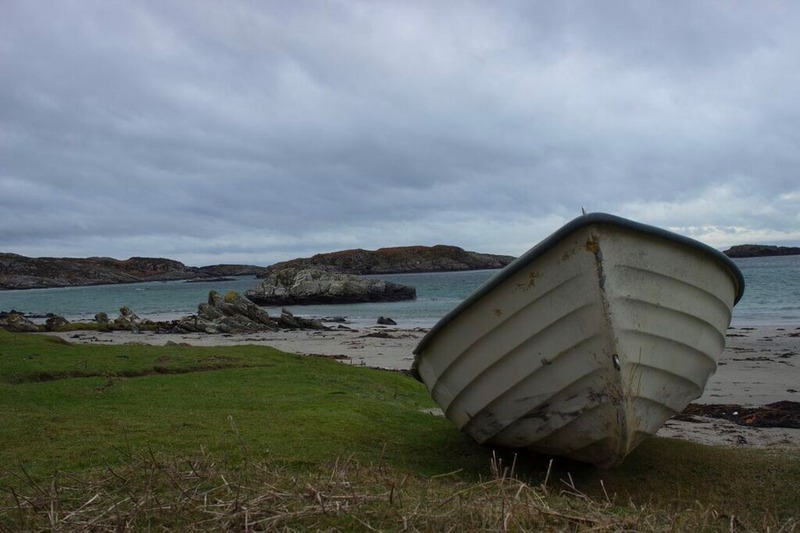 The ferry to Iona only takes around ten minutes, and the island - or at least what I could see of it - was gorgeous. 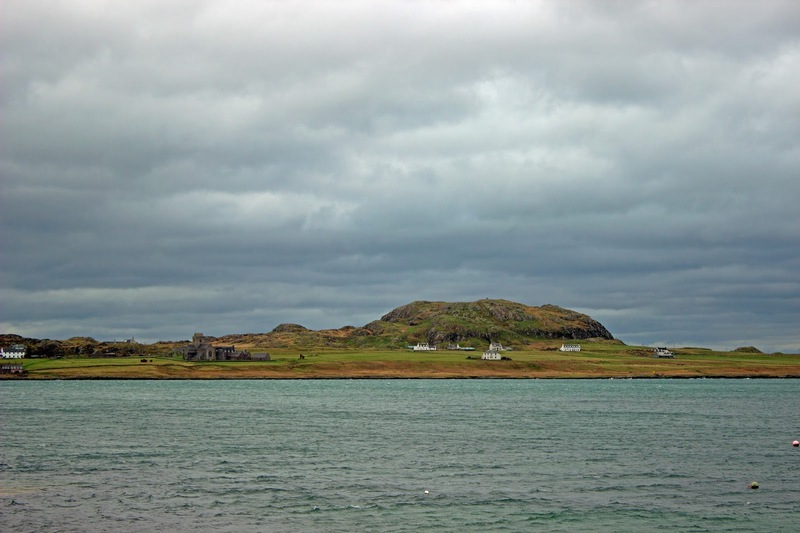 The abbey is clearly visible from Fionnphort, but as a big history fan, I would have loved the chance to explore. 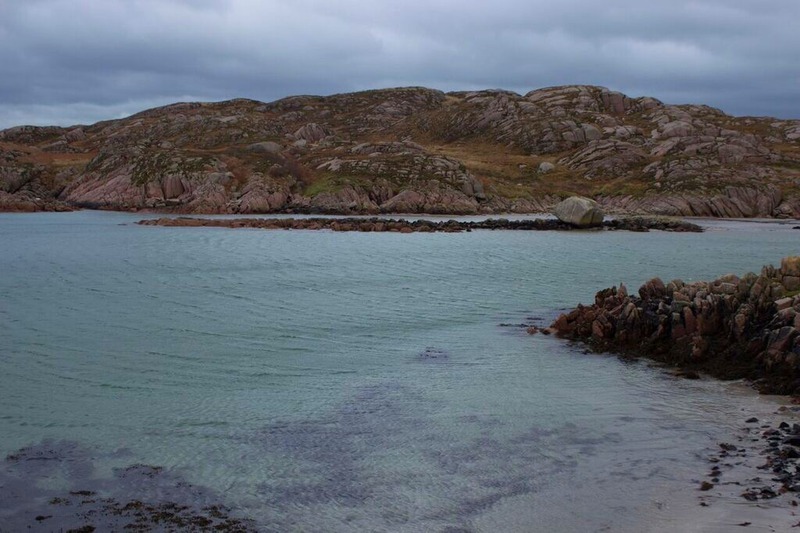 Iona was extremely important in the spread of Christianity, with the island's first monastery founded by St Columba in 563. It has been a place of pilgrimage and a centre for Christian belief ever since. The Abbey boasts many stone carvings including a 9th-century Celtic cross and is home to the graves of many of the early Scottish kings, including Mac Bethad mac Findlaich - also known as Macbeth. 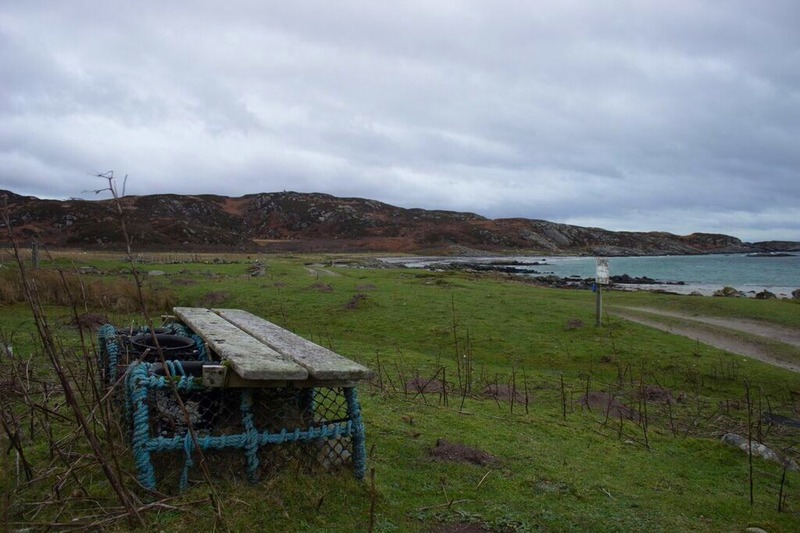 On the way back to Tobermory, we took a quick detour down to Uisken beach. 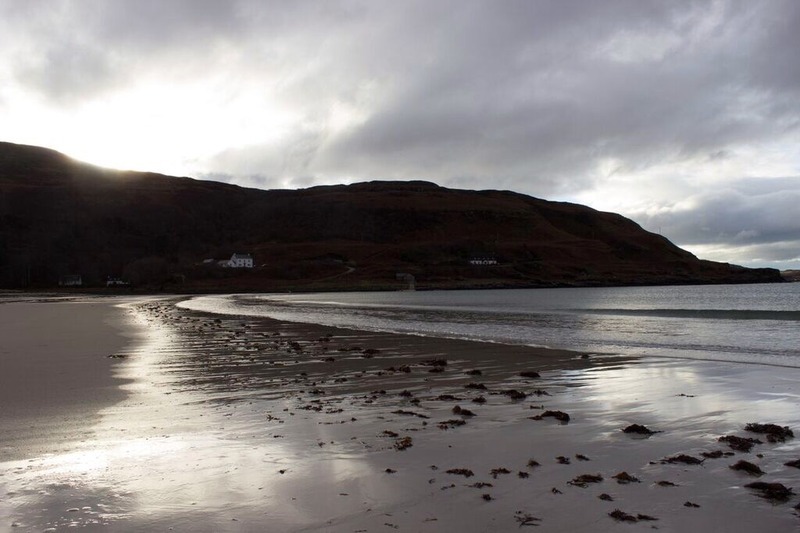 I have to say that this little beach was probably my favourite place that we visited in Mull. It was a perfect, secluded little bay with those same crystal-clear waters, overlooked by only a couple of houses. I'd honestly move there in a second, it was so beautiful. As we had no real reason to rush, we took the "scenic route" back, across the Ardmeanach peninsula on the west of the island. 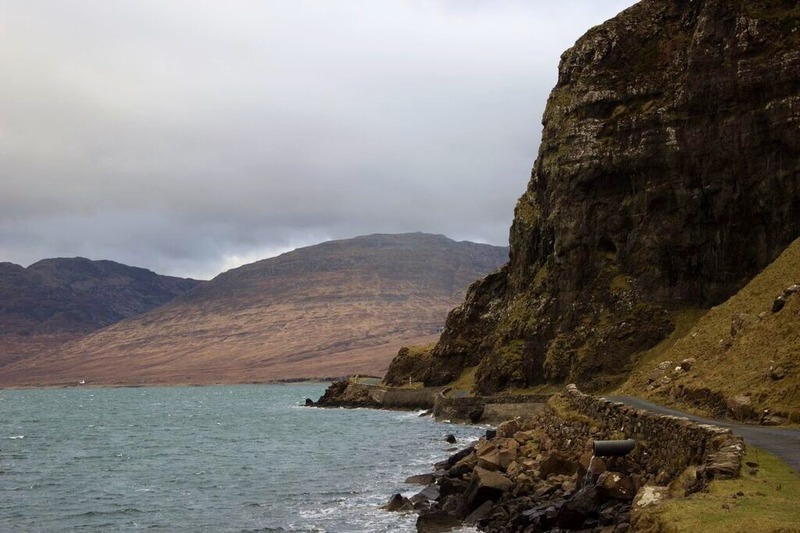 This road is a treat - particularly when you are driving northwards - as when it curves around the coast of Loch na Keal you find yourself down at the water's edge, with cliffs on your other side. I silenced my irrational fear of rock-falls, and instead laughed at the sheep grazing on the sheer slopes. We also were lucky enough to spot three more otters playing on the rocks and in the water. The scenic road leads back to the tiny little settlement of Salen. Turns out that this is actually where my husband's great-grandparents lived. 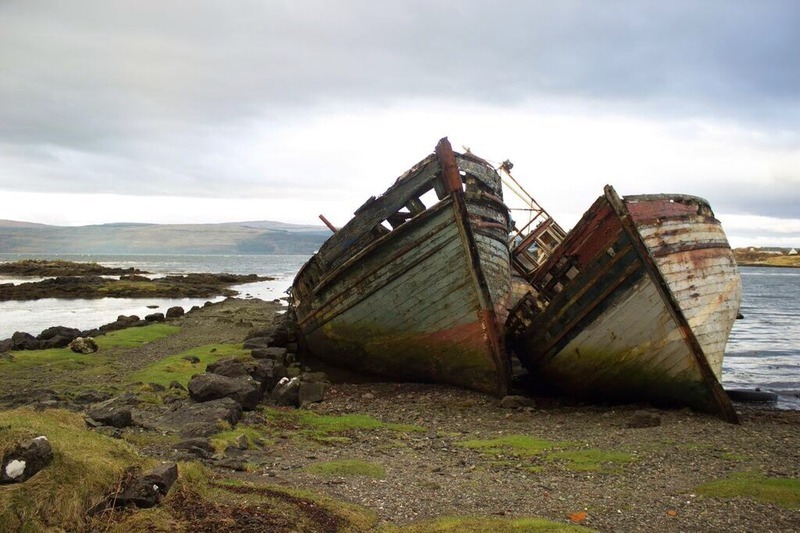 It also had a couple of cool looking ruined boats, which we stopped to take some photos of. The next day was much more low-key. I was having a quite anxious day and wasn't feeling very well either, so we didn't go quite so many places. We headed up to the north, to one of my husband's favourite areas: Calgary Bay. It was the largest of the beaches and bays we visited, with white sands and turquoise waters framed by hills and rugged headlands. I can imagine that in summer it's sublime, but as it was we had a lovely time strolling along the beach and seeing who could get closer to the rolling waves without getting our feet wet! 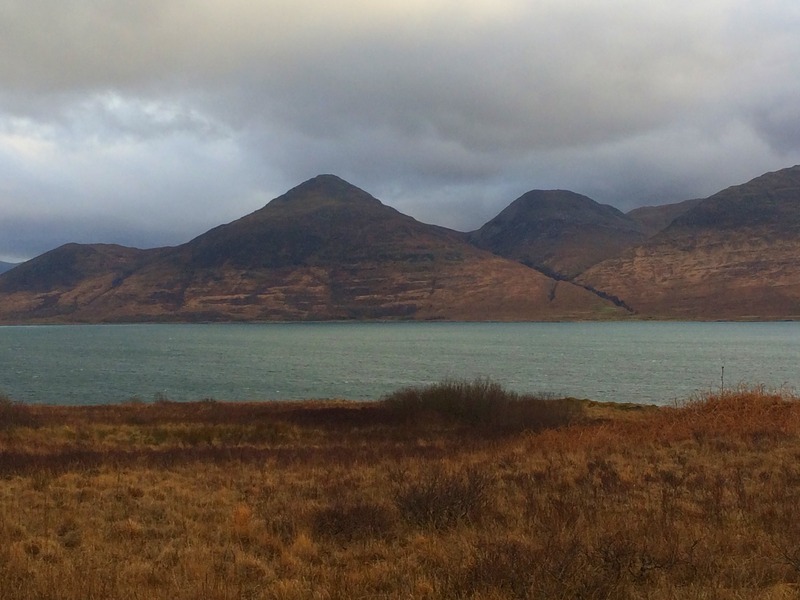 To finish the day off, we had a little journey around the roads where the Mull rally is held. My husband got a little too into driving around them... 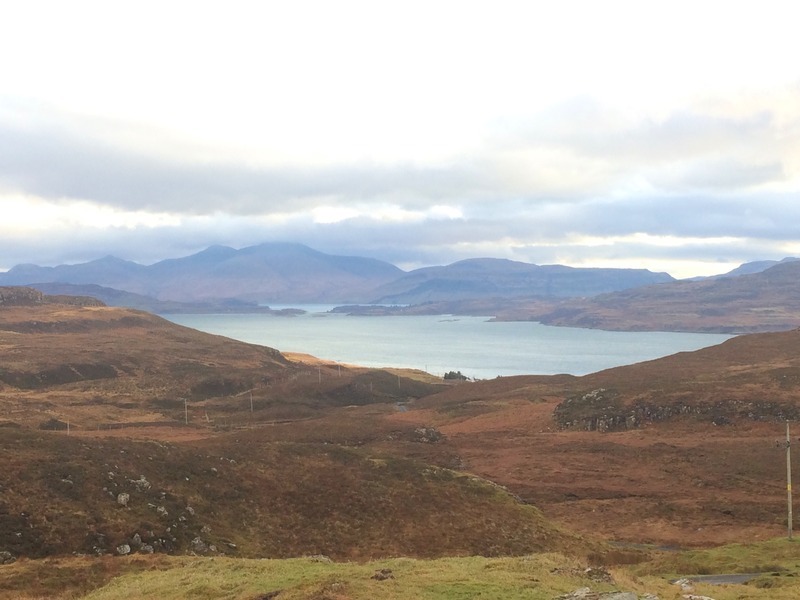 But there were some very picturesque views, especially up near Torloisk. 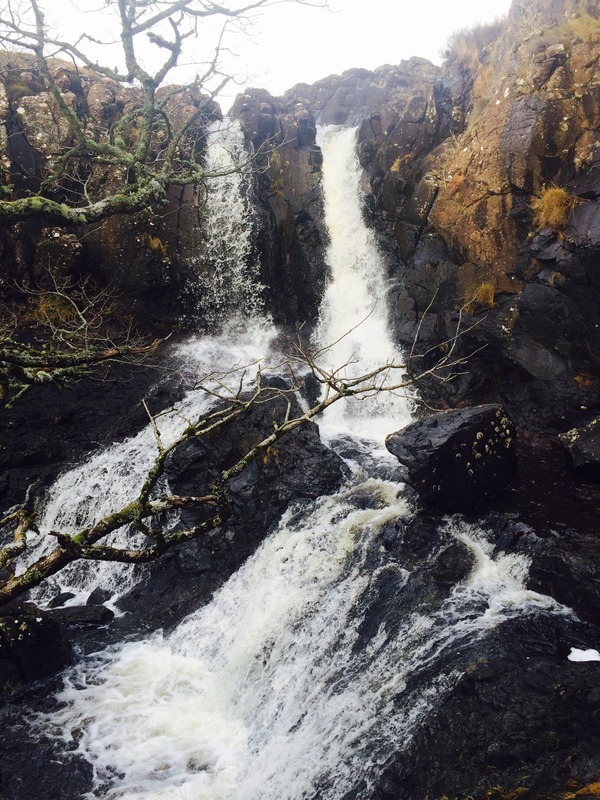 We also passed a waterfall near Ulva Ferry, with my favourite name of all time. 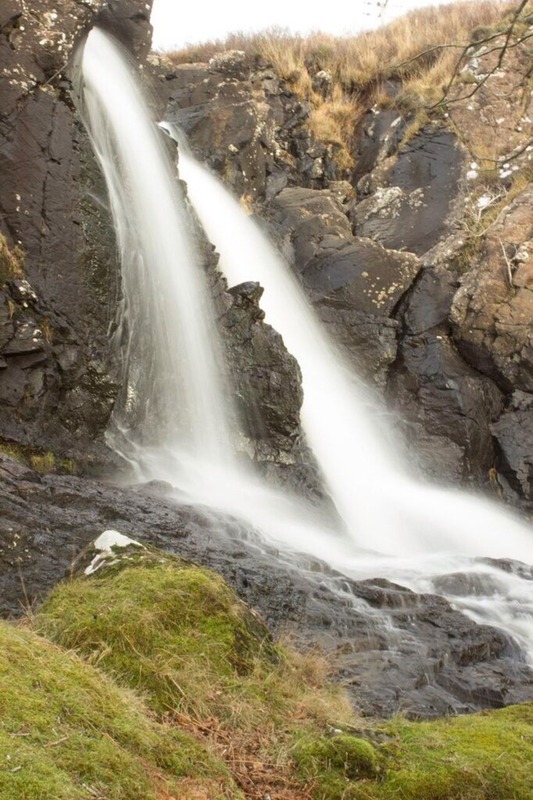 It's called Eas Fors Waterfall, Eas being Gaelic for waterfall, and Fors being Norse for... you guessed it! Waterfall Waterfall Waterfall is a great name, I'm sure you agree. But the highlight of my day was... PIGGIES! 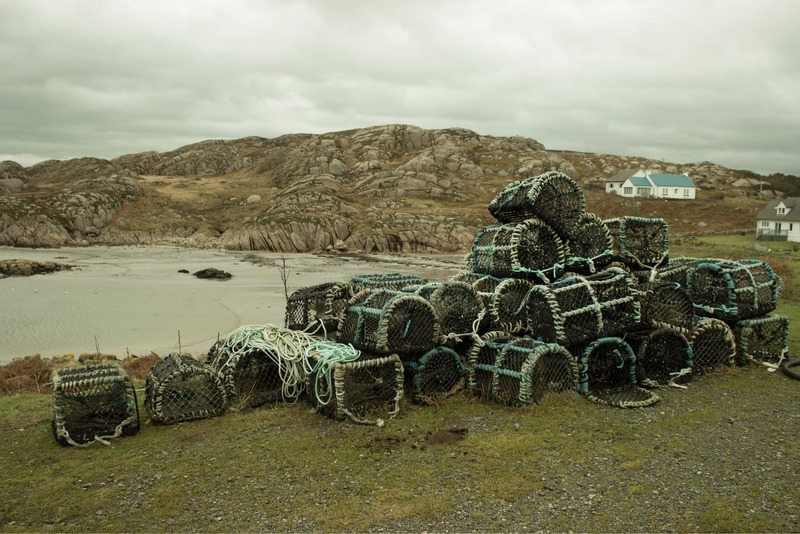 There are definitely a few things I'd love to see when I go back to Mull, including the Carsaig arches, and the fossilised tree, Iona (obviously!) and a boat trip around the Isle of Staffa, but it's fair to say this charming and attractive island stole my heart. I cannot wait to go back and see all the things I missed, and I can't think of a better way to have kicked off 2016. 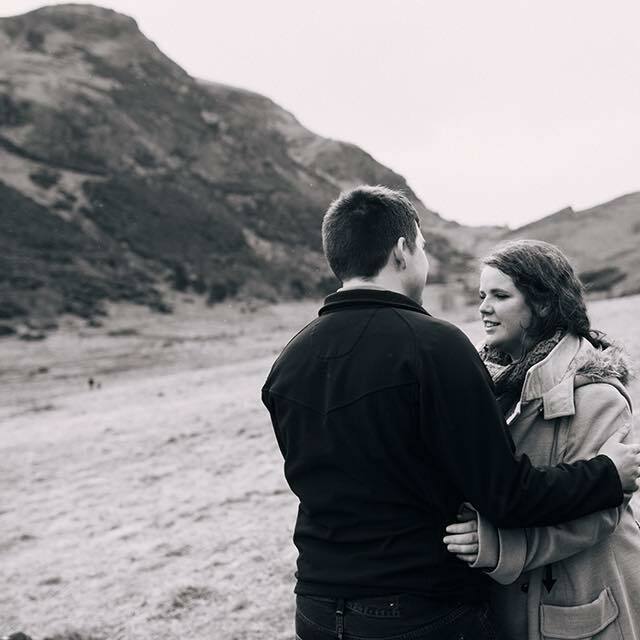 Have you ever been to Mull? What did you think of it? Or maybe you're thinking of a trip out there in the future? If you have any comments, stories, or suggestions for future trips, let me know! I'd love to hear your thoughts.